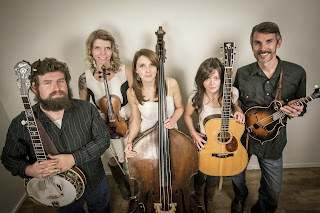 Of The Railsplitters, Steven Mougin (Sam Bush Band) said: "The Railsplitters are one of the most exciting bands to come on the scene in a long time. The complexity of their arrangements, the beauty of their vocals, and excitement in their performance should put them right in the center of your radar. Catch the Railsplitters, you'll dig 'em!" and John Goad (Bluegrass Today) added: "The Railsplitters are talented, with well-written songs and spot-on instrumentation. 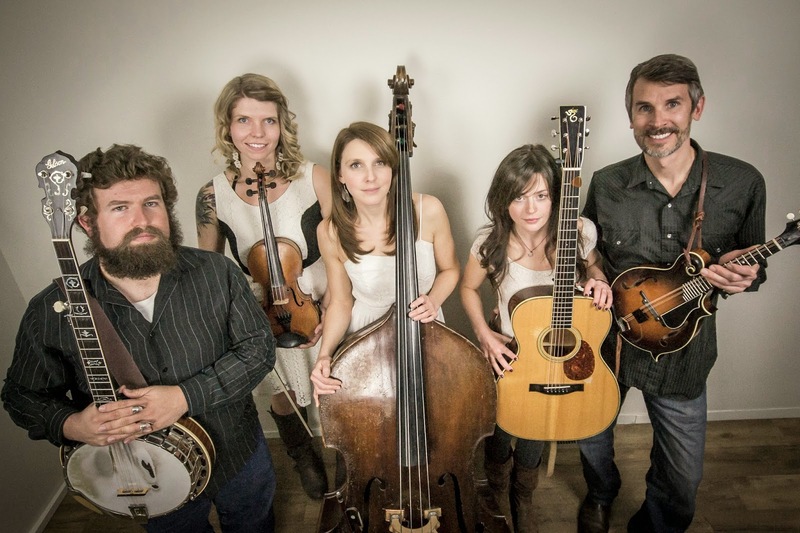 This album is a nice addition to the ever-growing progressive bluegrass field." Well...what more can I add to that? 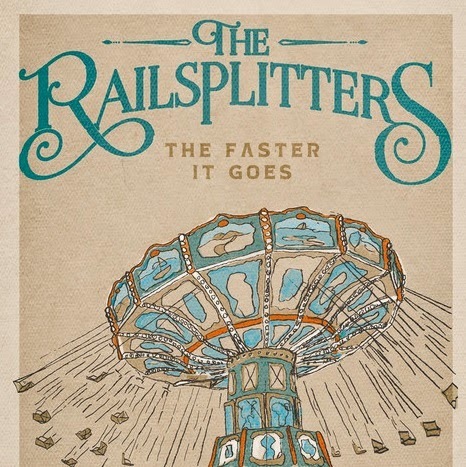 The plaudits for The Railsplitters are many and I had heard many positive comments and recommendations but when I received 'The Faster It Goes' I sat down to make up my own mind. On many of the tracks, the strong vocals of Lauren Stovall come to the fore but are perfectly balanced throughout with the playing of Christine King (fiddle), Dusty Rider (banjo), Peter Sharpe (mandolin) and Leslie Ziegler (bass). As John Goad intimated, The Railsplitters are firmly in the progressive bluegrass field and, indeed, there are tracks that have a jazzy/bluesy feel but there are also more traditional-sounding tracks such as the gentle instrumental 'The Estuary', the more upbeat instrumental (and one of my favourites) 'Goosetown' and the final track - a terrific version of 'Sweet Little Miss Blue Eyes' (previously recorded by Jim & Jesse, Bill Monroe, David Grisman and others). 'The Faster It Goes' perfectly relects The Railspiltters - music for the open dance floor and open ears.